Sandy Springs Plumbing Xperts strives itself on providing exceptional plumbing and sewer services in Sandy Springs, Georgia. 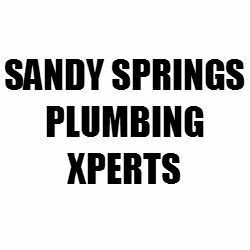 At Sandy Springs Plumbing Xperts our mission is to ensure that your experience and service is incomparable and in a class of its own. We want nothing but the best for our plumbing customers and YES that does include You! Give us a call today at 404-495-5074 and allow us to connect you with a top rated plumbing professional now. Our professionals are also trained to handle all sewer drain cleaning & service, as well as water heater service, gas & air line service, odor detection and much much more. In stead of loosing sleep over your plumbing and sewer problems, a highly trained professional is a phone call away. Call Sandy Springs Plumbing Xperts PRONTO! With all the hoopla surrounding all these so-called plumbing geniuses, now you can call a plumber you can trust. Many of our neighbors in Sandy Springs, GA and surrounding metro Atlanta area, doesn't know where to turn when it comes to plumbing or sewer disasters. Well, lucky you, for stumbling upon the right company, with the right professionals, doing the job right the first time. So, you ask why Sandy Springs Plumbing Xperts? For starters, we are local, fast & reliable, providing efficient service any day of the week, in and around the same communities we live in. We are family owned and operated, providing some what of a peace of mind to our customers by being able to deal with professionals that are near by. Our professional, highly trained plumbers deliver services that are unmatched, resulting in repeated customers benefiting from our services over and over, and then referring out to their family and friends. Here at Sandy Springs Plumbing Xperts, we also stand behind our work with affordable pricing,100% Customer Satisfaction and free estimates with no hidden fees. Most paying customers do not like surprises, therefore we are honest, fair and reasonable without commitment. We could go on and on about the benefits that Sandy Springs Plumbing Xperts provide, but that will not stop the leak in your kitchen, nor will it unclog your sewer issues. Stop band-aiding the problem and call the Xperts today at 404-495-5074!